Wow!! wonderful that will be great will work on another color. Thank you!! No problem. Put me down for 10 done. Well I was going to say I have the yellow and the orange but I think you're pretty well covered on those two colors! I may have the pink (I need to check) and I'll buy the paddy green (I can use it for another ghan I'm working on anyway) and send you some squares from each! Should there be a list of who's pledging how many of what? That way you don't wind up with a million of one color and not enough of another? Just a thought. And maybe I missed it in another post... do you want us to do the black borders or will you do that when you get them? Got to make sure I have everything right before I go mailing squares to you. randib82 said she'll do all the orange..
You are correct I will add the black when it gets here... With everyone helping with squares I think I can add the blck unless some just insisted on doing well should I say no? LOL But I will do and thank you! Okay wait...so now it's 4" for the finished square? Please confirm this before I start. Thanks! yes kittyloverdeb 3 rounds for everyone equals 4 inches. So we are going with 3 rounds and it equals 4 inches. wowee. this is hopping right along, now that we have the size nailed down, lol if you get 3 rounds, with an h or even an I hook, I would think that is close enough to 4 inches!! katyallen8090 25 4 inch paddy green done. So then i can say the paddy green and orange is taken care of right? katy if you feel up to doing the black go for it if not i can do it.. I tried a couple of squares this evening and they are coming out the right size, so I'll work on green ones this weekend. I hurried up and went upstairs. I will have to go get some tonight or tomorrow. I can't believe I don't have any. 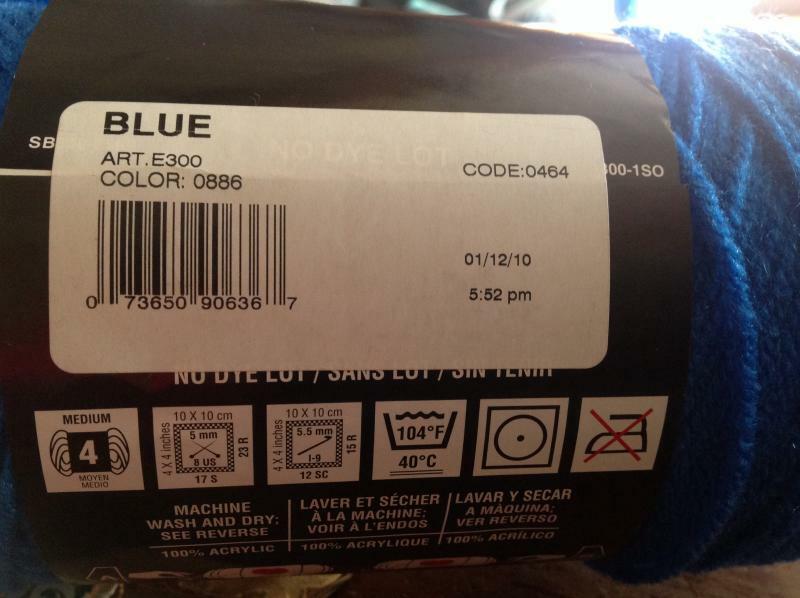 But here is the blue info pineknott. I'm away for the weekend, but I'll check colors next week. I can work on blue if someone has the yellow. Just let me know...pineknott if you can't find blue maybe you can the bright yellow.